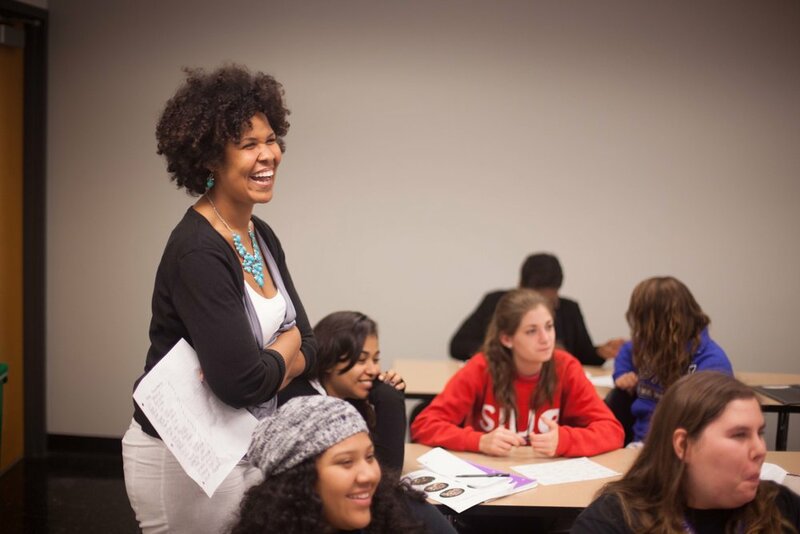 We believe in helping Scholars find the best fit teaching position in schools-of-need across the State of Illinois. Job search and resume assistance services are offered to Scholars at all levels of their teaching career. Please utilize the below tools if you are seeking a position in an Illinois school-of-need. Given the value of mentoring in the first years of teaching as cited by multiple education researchers, mentoring is a critical and requisite element of our program. 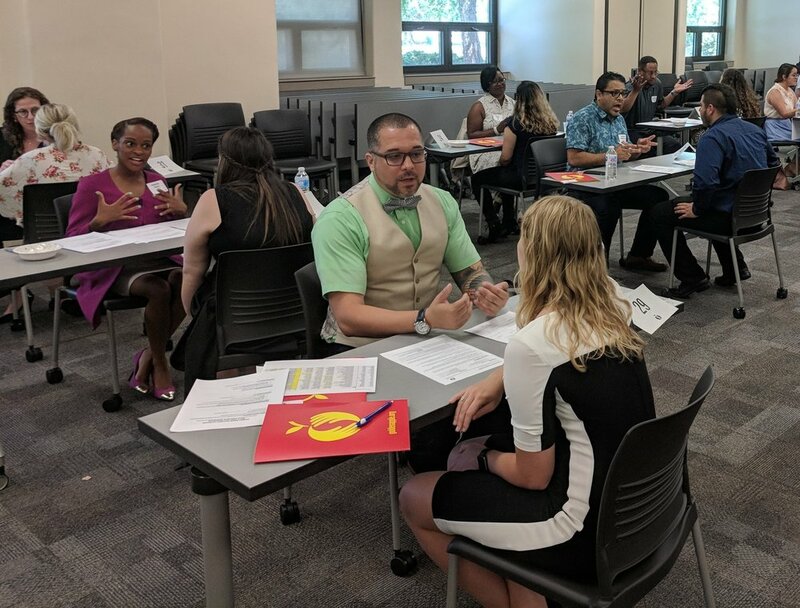 Therefore, Teaching Scholars in their first- and second-years of teaching in a school-of-need will be assigned a mentor by Golden Apple, per the Golden Apple Scholars Program outline of supports. All Teaching Scholars who are teaching in schools-of-need must participate in our mentoring program in their first- and second-years of teaching. Mentoring services are provided by master teachers and award-winning Golden Apple teachers across the State of Illinois. 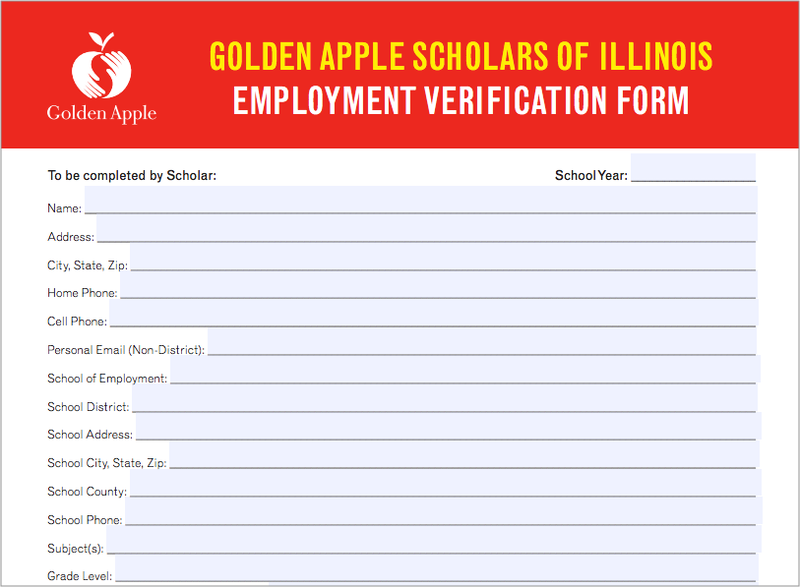 Golden Apple Scholars are required to sign a contract to teach for five years in a school-of-need in Illinois within seven years of obtaining an undergraduate degree and acquiring an Illinois Initial Teaching Certificate. Economic Need: An Illinois school that has 30% or more students receiving free and reduced lunch, according to the Interactive Illinois Report Card from the Illinois State Board of Education. Academic Need: An Illinois school in which the combined percentage of its students who approached, met, or exceeded state standards is less than or equal to 60% according to the report card on file with the Illinois State Board of Education. Please keep in mind the "Fast Fact" portion doesn't show the amount of students who are approaching state standards. You can determine if a schools is one of economic and/or academic need by checking the Interactive Illinois Report Card website. Every Teaching Scholar must complete an Employment Verification form every school year and return it to Golden Apple to receive credit toward completing your five-year teaching commitment. This form requires employment information, a signature and the signature of a school Principal, Assistant Principal, Department Head, Director of Human Resources, or Superintendent.